Have you tired of modern sitting furniture that is as durable as it is expensive? Have you get bored of standard sizes, designs and dimensions of market bought sitting furniture that are often to not fit to your space correctly? 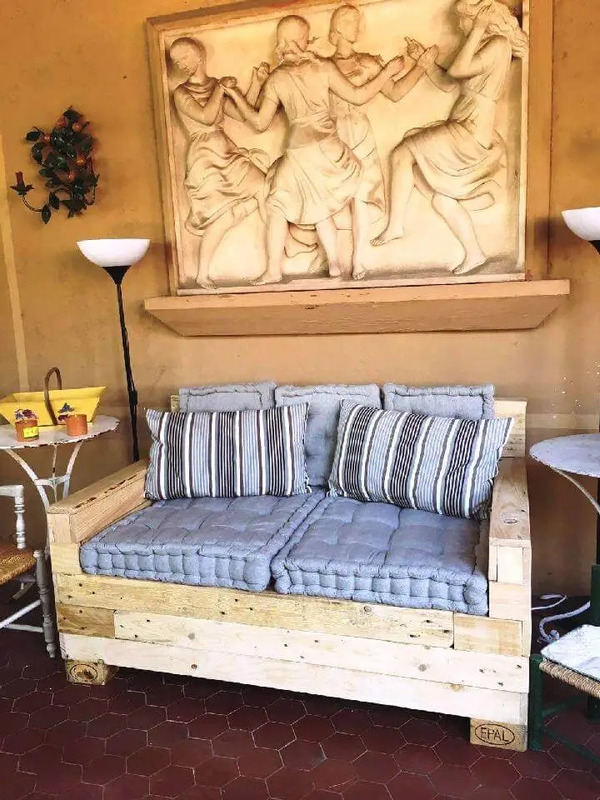 Time to stop compromising on prices and sizes of market bought sitting furniture, it is time to opt for the DIY pallet sofas or sitting furniture sets that can be made easily at home in any size and dimensions you want! The big blasting good news is that the pallet-made sofas are too durable to beat the manufactured sofa models are having price almost equal to zero! Are you not going to believe it? 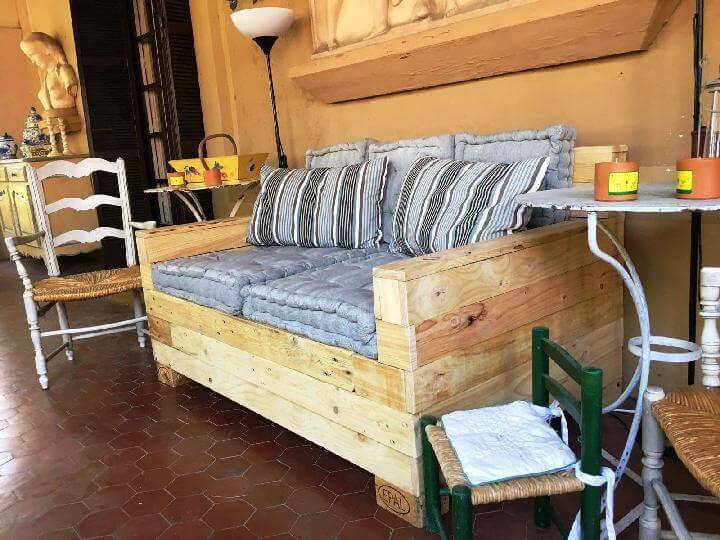 Just checkout this very special DIY wooden pallet sofa set, made for part sitting and to enjoy family get together! 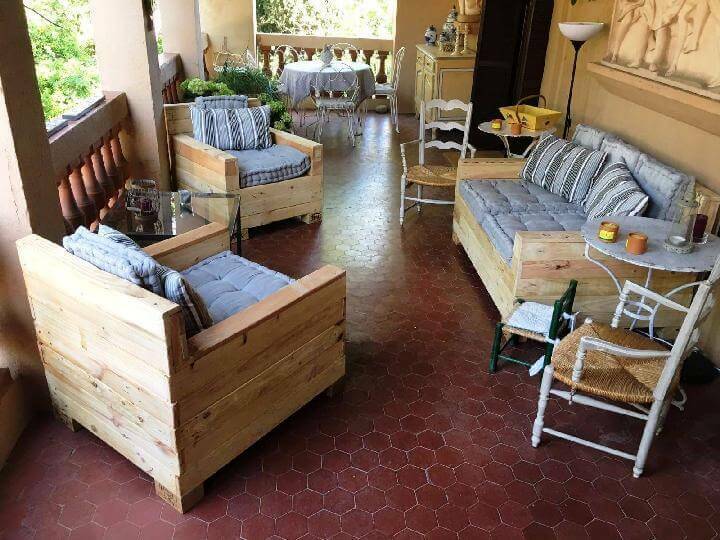 This hand-built pallet sofa set is self-explanatory in design and durability! 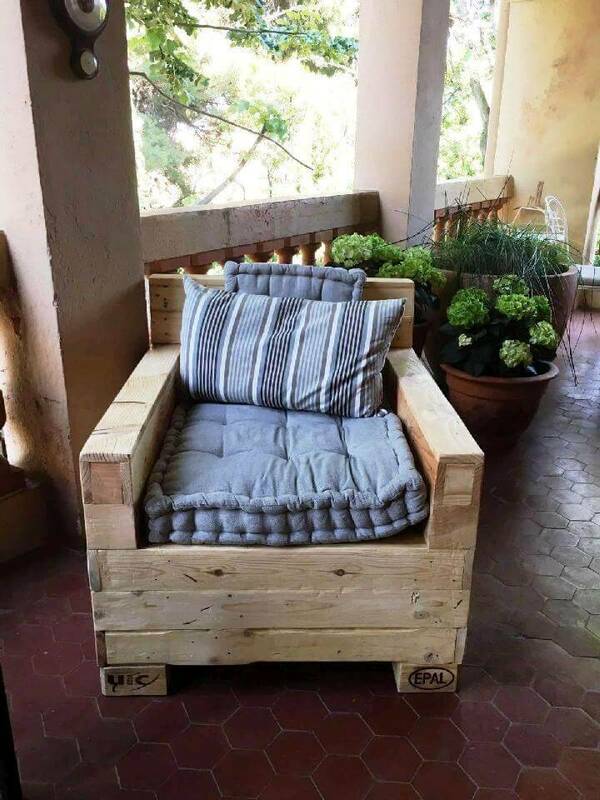 Reduce the landfills by grabbing some pallets and just do amazing pallet furniture! Here building this gorgeous sitting set is not a big hassle! 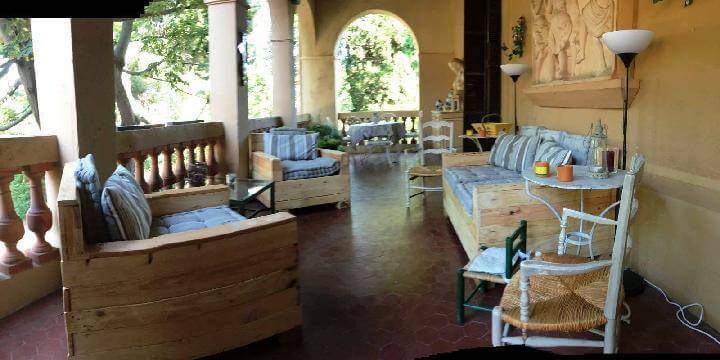 No wood crafting experience is require, what you have to do is to separate apart the selected shipping pallets into single pieces and then to reassemble those dismantled pallet slats in new dimensions by making robust chairs and sofa seats! 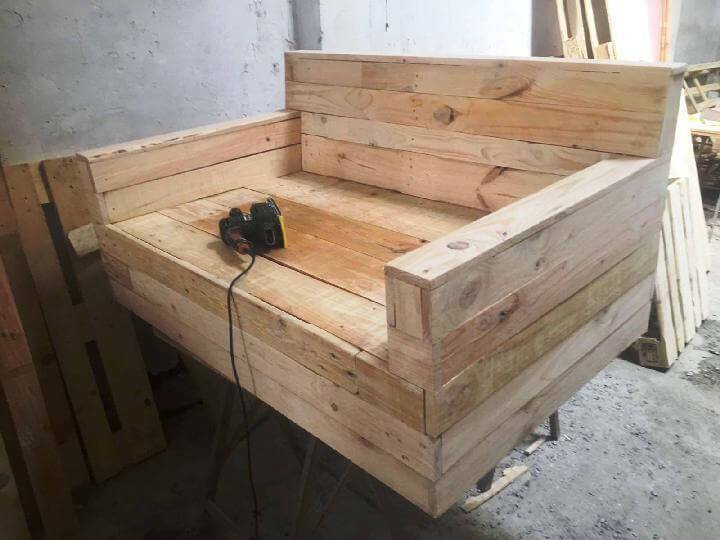 Make different sets of wooden pallet slats to build parts of the pallet sofa or chair you are working on! 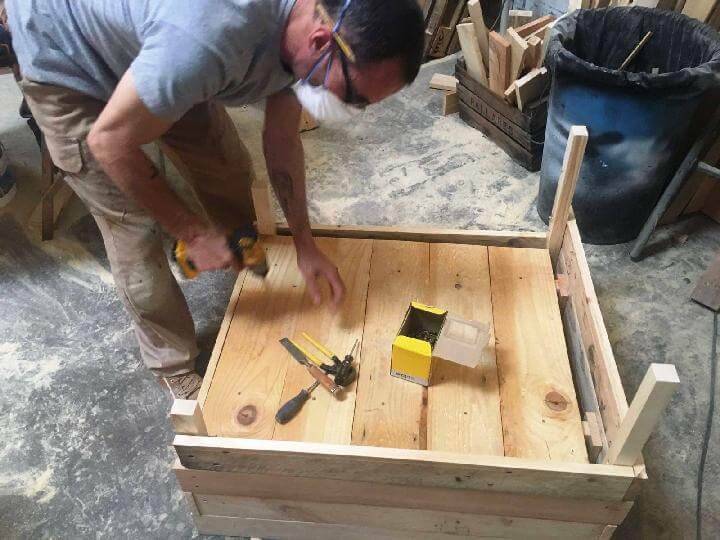 You can pack each particular set of slats flat to build robust backrests, seats and armrests but you need to build the primary frame first with the same torn apart pallet planks! Pallets slats if once separated, are super easy to resize, assemble, pack and attach so after dismantling of pallets, this project will not take much time to be completed! We would also like these Top 30 Pallet Ideas to DIY Furniture for Your Home. 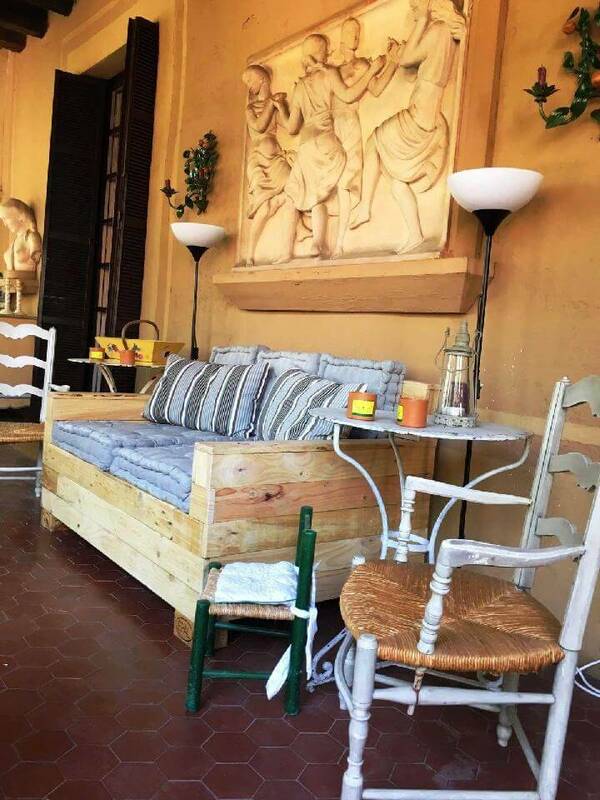 Choose the best hardware to bring more stability to your pallet sofa set and to plan a nice final finish would also be recommended for mind-blowing and enticing spark on the wood grains and also to lock the wooden surfaces for weather protection! Bring value comfort to your wooden sofa seats and chairs by making them upholstered, padded or well cushioned and this will enhance the visual of the entire pallet sofa set! Here is an ultimate DIY crafting solution for expensive modern sitting furniture! 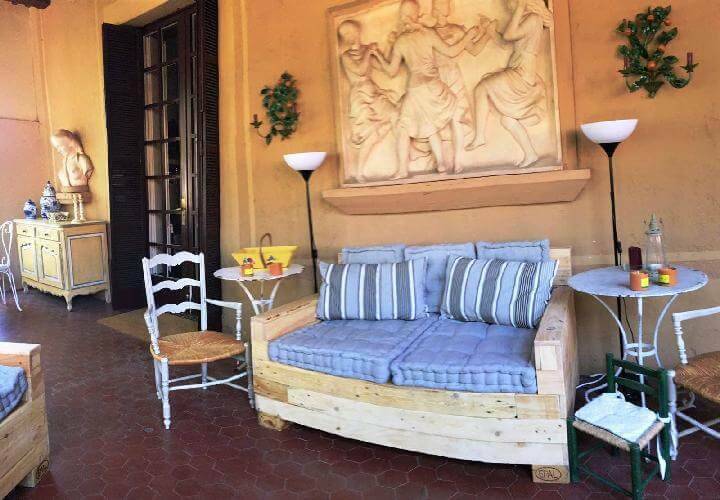 From patio to garden to any outdoor, this sitting sofa set will really rock! 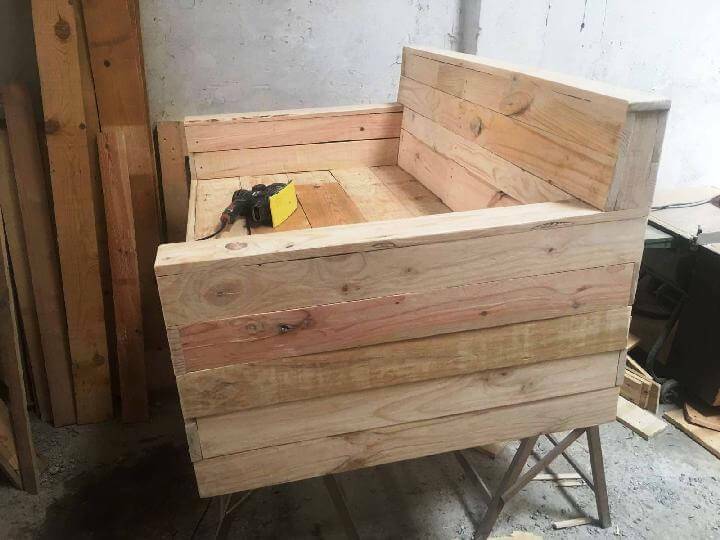 Here is what you need to build with finally dismantled and resized pallet slats, a block style robust wooden seat! Use an electrical sander to grit all the sides for no-more injurious splinters! Pack tight the slats building all the parts of the seat and then you can layer more slats of over for brilliant block style dimensions! Just like the sofa seat, craft the matching sofa chair too! Choose a nice work-space cut down the construction time and duration by using electrical tools for cutting and attachments and also for sanding purposes! Checkout here the final result, an captivating sitting plan with all comfy and super soft seats and backrests! Here is the robust pallet cushion chair that stands on the short wooden legs which are actually the separated apart pallet blocks! Brilliant 2 or seater pallet-made sofa with lasting backrest and armrests! It would last for years due to solid pallet wood composition! From shabby chic to ultra-modern and from rustic to vintage, this lovely sofa will be a delight to view in each and every environment! It would also be a big big big delight to view while being placed in the green open environment or at your sunny deck! One can also clone this sofa set for his newly built living room! 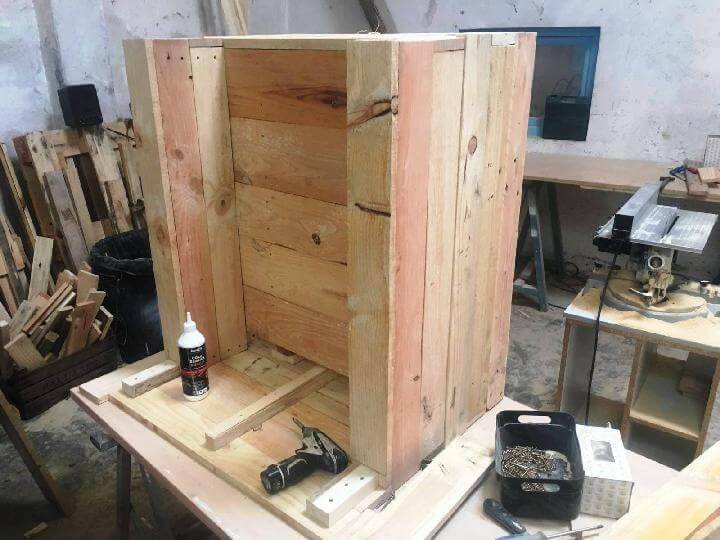 Don’t hesitate to build the matching side tables, end tables and also footrests with pallets!